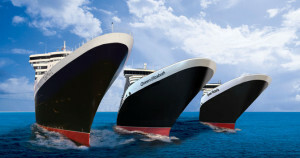 UK-based Cunard is a traditional cruise line with roots dating back to the 1800s. Although they employ an international crew, many of their officers are British. Cunard Line is one of the many cruise lines owned and managed by Carnival Corporation (acquired in 1998). They celebrated their 175th anniversary in 2013. They currently operate three ocean liners with an onboard atmosphere that is distinctly British and formal (White Star Service), unlike the American mainstream cruise lines. They have another ship due out in 2022. Passengers choose between three different categories (similar to classes of the bygone era) to when booking their accommodation: Queens Grill, Princess Grill, Britannia Club, and other Britannia staterooms. This will then determine which restaurant the guest will be allowed to dine in. They also have children’s programming for kids aged two to 17 years old, including a nursery for babies as young as one. Interested candidates may search Cunard’s employment pages and apply on line for any vacant positions.